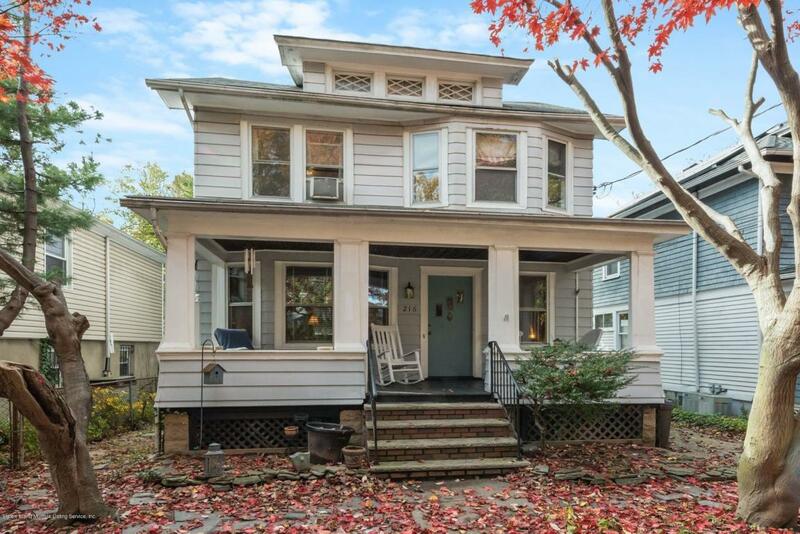 Gorgeous Victorian detached home on a lovely tree lined block in Randall Manor. The front porch alone gives the perfect first impression that this home is welcoming, inviting, and cozy. Spectacular woodwork, hardwood floors, formal dining room and living rooms, and high ceilings are just a few of the features. 4 bedrooms plus an attic. a large basement with entrance, a private driveway with detached garage, and a backyard oasis compliment this home. Located just a few blocks away from Sailor's Snug harbor and the Botanical Garden, Staten Island Museum, Richmond University Medical Center, history abounds in this area which only adds charm to the neighborhood.